FREE Delivery & Removal as well as Price Matching*! 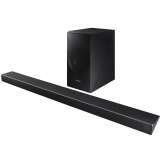 Best value is guaranteed when you buy the Vogel's NEXT8365 Full Motion TV Wall Bracket for 40 to 65 Inch TVs with Integrated Soundbar from Appliances Online. Trusted by over 350000 customers - Appliances Online Legendary Service! FREE Delivery & Removal as well as Price Matching*! Best value is guaranteed when you buy the Vogel's THIN545W Extra Thin Full Motion TV Wall Mount For 40 to 65 Inch TVs White from Appliances Online. Trusted by over 350000 customers - Appliances Online Legendary Service! FREE Delivery & Removal as well as Price Matching*! Best value is guaranteed when you buy the Vogel's THIN546 Extra Thin Full Motion TV Wall Mount For 40 to 65 Inch OLED TVs from Appliances Online. Trusted by over 350000 customers - Appliances Online Legendary Service! FREE Delivery & Removal as well as Price Matching*! 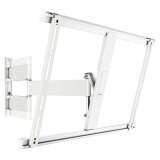 Best value is guaranteed when you buy the Vogel's WALL3345W Full Motion TV Wall Bracket For 40 to 65 Inch TVs White from Appliances Online. Trusted by over 350000 customers - Appliances Online Legendary Service! FREE Delivery & Removal as well as Price Matching*! Best value is guaranteed when you buy the Vogel's THIN545 Extra Thin Full Motion TV Wall Mount For 40 to 65 Inch TVs from Appliances Online. Trusted by over 350000 customers - Appliances Online Legendary Service! FREE Delivery & Removal as well as Price Matching*! Best value is guaranteed when you buy the Vogel's NEXT7356 Motorised TV Wall Mount for 40 to 65 Inch OLED TVs from Appliances Online. Trusted by over 350000 customers - Appliances Online Legendary Service! 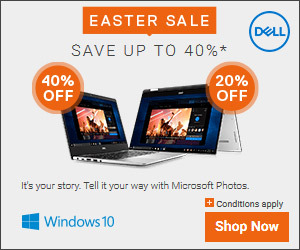 FREE Delivery & Removal as well as Price Matching*! Best value is guaranteed when you buy the Vogel's NEXT7355 Full-Motion Motorised TV Wall Mount for 40 to 65 Inch TVs Black from Appliances Online. Trusted by over 350000 customers - Appliances Online Legendary Service! FREE Delivery & Removal as well as Price Matching*! 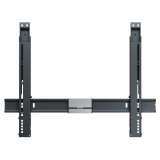 Best value is guaranteed when you buy the Vogel's NEXT7345 Full-Motion TV Wall Mount for 40 to 65 Inch TVs Black from Appliances Online. Trusted by over 350000 customers - Appliances Online Legendary Service! FREE Delivery & Removal as well as Price Matching*! 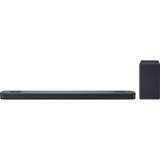 Best value is guaranteed when you buy the Vogel's NEXT7346 Full-Motion OLED TV Wall Mount for 40 to 65 Inch TVs Black from Appliances Online. Trusted by over 350000 customers - Appliances Online Legendary Service! FREE Delivery & Removal as well as Price Matching*! Best value is guaranteed when you buy the Sony 65 Inch A8F 4K UHD HDR Smart OLED Android TV KD65A8F from Appliances Online. Trusted by over 350000 customers - Appliances Online Legendary Service! FREE Delivery & Removal as well as Price Matching*! 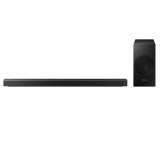 Best value is guaranteed when you buy the Vogel's WALL3345B Full Motion TV Wall Mount For 40 to 65 Inch TVs Black from Appliances Online. Trusted by over 350000 customers - Appliances Online Legendary Service! FREE Delivery & Removal as well as Price Matching*! Best value is guaranteed when you buy the Vogel's THIN505 Extra Thin Fixed TV Wall Mount for 40 to 65 Inch TVs from Appliances Online. Trusted by over 350000 customers - Appliances Online Legendary Service! FREE Delivery & Removal as well as Price Matching*! 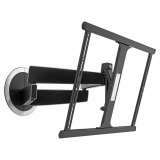 Best value is guaranteed when you buy the Vogel's PFW6850 Tilt and Turn TV Wall Mount For 42 to 65 Inch TVs Black from Appliances Online. Trusted by over 350000 customers - Appliances Online Legendary Service! FREE Delivery & Removal as well as Price Matching*! 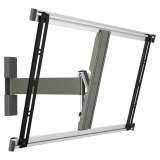 Best value is guaranteed when you buy the Vogel's THIN515 Extra Thin Tilt TV Wall Mount For 40 to 65 Inch TVs from Appliances Online. Trusted by over 350000 customers - Appliances Online Legendary Service! FREE Delivery & Removal as well as Price Matching*! Best value is guaranteed when you buy the Vogel's THIN325 UltraThin Full-Motion TV Wall Mount for 40 to 65 Inch TVs Grey from Appliances Online. Trusted by over 350000 customers - Appliances Online Legendary Service! FREE Delivery & Removal as well as Price Matching*! Best value is guaranteed when you buy the Vogel's WALL2350B Full-Motion TV Wall Mount for 40 to 65 Inch TVs Black from Appliances Online. Trusted by over 350000 customers - Appliances Online Legendary Service! FREE Delivery & Removal as well as Price Matching*! 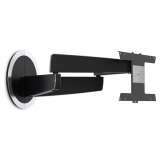 Best value is guaranteed when you buy the Vogel's WALL3315B Tilting TV Wall Mount For 40 to 65 Inch TVs Black from Appliances Online. Trusted by over 350000 customers - Appliances Online Legendary Service!